Carl Edward Sagan (November 9, 1934 – December 20, 1996) was an American astronomer, astrochemist, author, and popularizer of astronomy, astrophysics and other natural sciences, and critic of Velikovsky. Carl Sagan is perhaps one of the most well-known critics of Immauel Velikovsky, having discussed his work at a conference, in its proceedings, his own book, and television series, and in interviews. “I first started working on this paper, that I have here, on the invitation of Stephen Talbott, the editor of Pensée, who invited me to give a critique of Velikovsky’s views about Venus, which I started to do, but then discovered that it’s very difficult to keep one’s focus only on Venus, because Velikovsky’s perspective is extremely broad. And so what has come out is a manuscript called not “Venus and Dr. Velikovsky” but something called “An Analysis of ‘Worlds in Collision’,” which is much too long to read here, and especially in the interests of time I’m going to just go through a fraction of it, something like a third of it.”Carl Sagan, “Transcripts of the Morning and Evening Sessions of the A.A.A.S. Symposium on “Velikovsky’s Challenge to Science” held on February 25, 1974″, Transcribed and Edited by Lynn E. Rose. Online at the Velikovsky Archive. A revised and expanded version of the paper appears in Sagan’s book, Broca’s Brain in a chapter “Venus and Dr Velikovsky”. ” Though Sagan’s symposium paper was supposed to be finalized at the time of delivery, nearly two full years were to elapse before the “finished” product was actually made publicly available. By then, the paper had been considerably expanded, revised or modified, and updated to include post-1974 material; several appendices became available for the first time also. 2. ↑ Carl Sagan, “Transcripts of the Morning and Evening Sessions of the A.A.A.S. Symposium on “Velikovsky’s Challenge to Science” held on February 25, 1974″, Transcribed and Edited by Lynn E. Rose. Online at the Velikovsky Archive. 10. ↑ Robert Jastrow, “Outer Space and Inner Space,” The New York Times Book Review (June 10, 1979), pp. 9, 32. 11. ↑ Jastrow, Robert (1979). 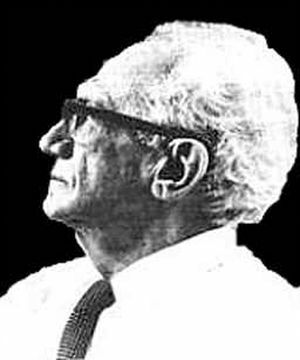 Velikovsky, a Star-Crossed Theoretician of the Cosmos. New York Times, December 2, 1979, p. E22 and Jastrow, Robert (1980). Hero or Heretic? Science Digest Special, Sept/Oct, pp. 92-96. Carl Sagan’s letter replying to Jastrow, “Immanuel Velikovsky’s Unlikely Collisions”, was published in New York Times, December 29, 1979, p. 20, with a rebuttal from Clark Whelton, “Unrefuted ‘Worlds in Collision'” appearing January 11, 1980, p. A22.